Lake Mburo National Park is one of Uganda’s smallest national parks, extending over 260km2 with an altitude range from 1220m-1828m above sea level. This park is situated in the Ankole Sub-region in Mbarara district and derives its name from one of its distinct feature Lake Mburo, one of the five lakes that lie within the park boundary and part of a cluster of 14 lakes that are fed by River Rwizi and connected by several permanent and seasonal swamps. Lake Mburo is an underrated gem of park, dominated by the eponymous lake which is scenically reminiscent of the more celebrated Lake Naivasha in the Kenyan rift valley. The park is by- passed by the most of the travelers on Safaris in Uganda and other independent travelers, though it’s relatively accessible. It presumably has low big five count, and in particular the lack of elephants and lions. Despite the absence of such heavy weights, Lake Mburo still offers some excellent game viewing opportunities for Uganda safari lovers as you are likely to see many Uganda wildlife species over the course of the day. Lake Mburo is positioned strategically on a break-up of a long drive between Kampala and other national parks along the country’s western border that is Mgahinga national park, Bwindi impenetrable forest national park, Rwenzori Mountain national park and QueenElizabeth national park. Lake Mburo harbors several species that are not easily observed elsewhere in Uganda, and is the only reserve in the country that supports large populations of impalas, from which the name Kampala Uganda’s capital city is derived and one of only three protected areas country wide where the Burchell’s zebra occurs, the other two being the far less accessible Kidepo Valley National Park and Pian Upe Game Reserve. Other antelopes likely to be seen are Topi, bush back, common duiker, oribi and bohor reed buck. Two diurnal primates occur in the park and these are the Vervet Monkey and the olive baboon. Over 315 bird species have been recorded in the park and it is one of the best places in Uganda to see the acacia associated birds. 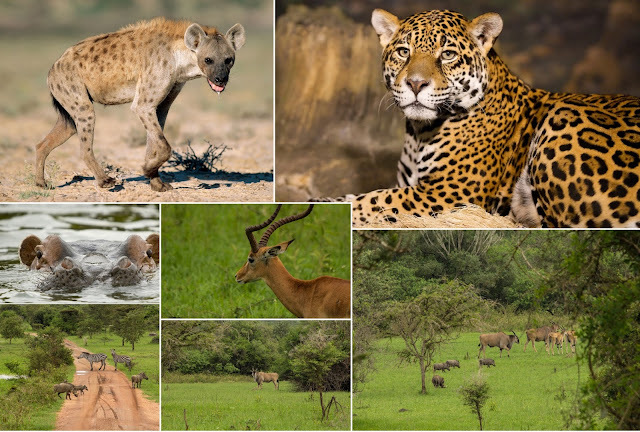 Whether you are a first time safari traveler or a seasonal African traveler, a Uganda safari to Lake Mburo National Park with its unique blend of Savannah, creatures, and its wealthy grassland plus lake habitats are simply dazzling.